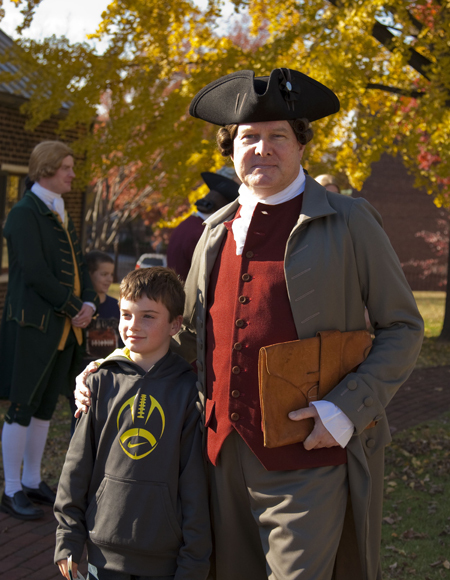 Every Sunday between Memorial Day and Labor Day each summer, and on the 4th of July, St. John’s Church Foundation in Richmond, VA presents a reenactment of The Second Virginia Convention of March 1775. We were in Richmond this weekend for a wedding in the family and were to leave early on Veterans’ Day. 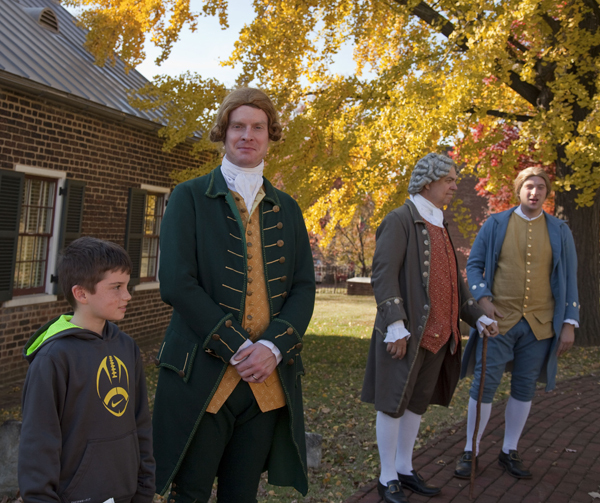 We extended our stay because that reenactment was also due to be presented at 2:00 pm on Sunday for Veterans’ Day. It is impossible to come away from that presentation without a deeper understanding of the struggle our founders lived with under the rule of England and their debates over the need to defeat it. It was riveting! My three grandchildren between four and nine were mesmerized! The actors were authentically dressed, the language was period typical and we were delegates to the convention, expected to vote on each resolution. The actors were passionate; we felt like we were part of it. 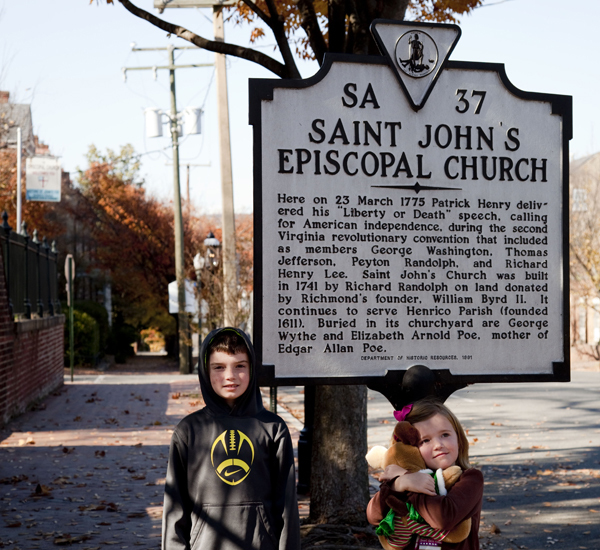 St. John’s Church is the original location of this Convention, where Patrick Henry made his impassioned “Give me liberty or give me death” plea. The Second Convention was held in Richmond due to increasing pressure by the then Governor of Virginia, who because he was sympathetic to the King had dissolved the Virginia Legislature, and because of increasing pressure being brought by British Troops. Patrick Henry’s resolution was simply to prepare for war. To arm, to set up militias, to get ready, and to be ready. Some of the other delegates, including Edmund Pendleton (who sat next to us) wanted patience. He made several good points about the impending war with England. We had much to lose, things were going well, maybe it would all resolve itself if people more sympathetic to the colonies were elected to Parliament. While his pleas were passionate, Patrick Henry was more persuasive. Henry’s oratory thundered through the small church. He spoke of tyranny, chains and he spoke of liberty. He spoke of timing, if not now, when? He pleaded that they not wait until after they would be disarmed by England. In the end, his passionate speech won the vote, and the hearts and minds of his fellow patriots. When the vote came for Patrick Henry’s Resolution on Sunday, obviously there was a resounding “Aye” (because we knew the outcome). In truth, there were probably 120 delegates and it passed by only five or six votes. If you want more information about this event or other historical information about St. John’s Church, please see: www.historicstjohnschurch.org. If you are in Richmond Virginia during a time the presentation is happening, it is a must see. Your children will love it, as will you.